Self-Immolation: A Singular Form Of Protest Grabs Attention Again : The Two-Way A young man setting himself on fire sparked the upheaval in Tunisia that has shattered that country's government. Michael Biggs of Oxford University says it has been a common form of protest through the ages. Tunisia erupted in demonstrations after a young fruit and vegetable street vendor set himself on fire to protest police confiscation of his produce. 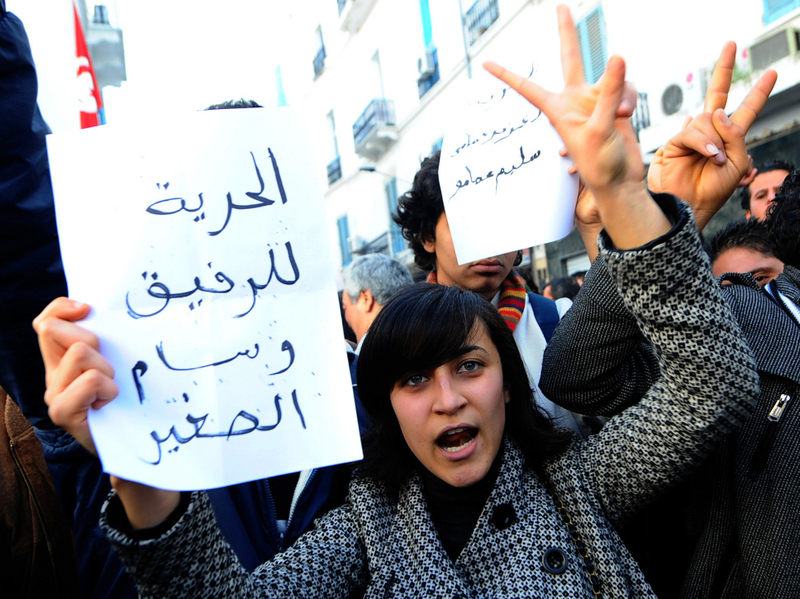 A young man setting himself on fire sparked the upheaval in Tunisia that has shattered that country's government. Michael Biggs, a sociologist at Oxford University in England, talked with NPR's Robert Siegel about the history of self-immolation as a form of protest. Biggs says it's been a common and powerful form of political protest. "The power is the fact that somebody is willing to die, to kill themselves, and also to die in such a horrific and painful manner. Because of that, it gives a real credible signal that the injustice they're suffering should be taken seriously. I mean, talk is cheap. Anyone can have a protest and put up some placards and say, "Things are bad." But if somebody is actually willing to kill themselves, then we take notice. Also, if you have a photograph, it's very spectacular." Biggs tells Siegel that self-immolation stands apart from suicide bombing because it is a personal public statement, rather than a deadly attack on others. "... people can appreciate that more than suicide terrorism, where you really have to be sympathetic to think that it's justified to, perhaps, kill some civilians as well as yourself." The reaction in Tunisia, where President Zine El Abidine Ben Ali fled in the face of public unrest, is unusual, according to Biggs. He says that most acts of self-immolation raise public awareness, rather than drive actual changes in policy or government.